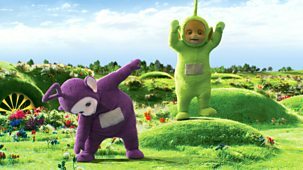 Series 2: 29. 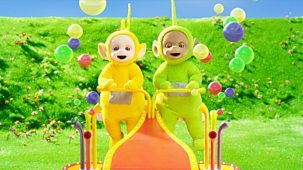 Swap Places! 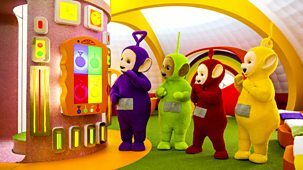 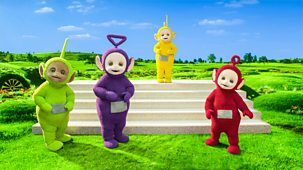 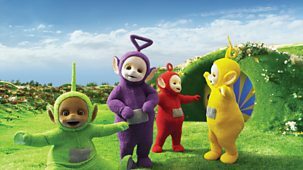 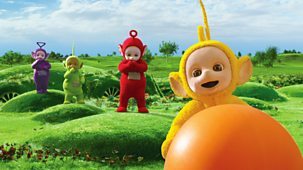 Tinky Winky, Dipsy, Laa-Laa and Po receive a call on the Tubby Phone. 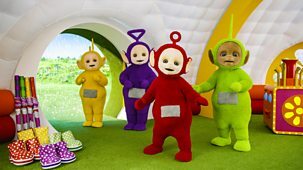 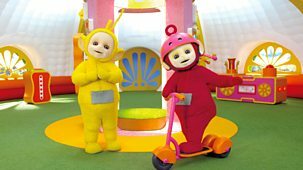 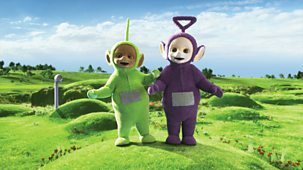 It's the Tiddlytubbies, ringing to say hello just before the Tubby Phone Dance. 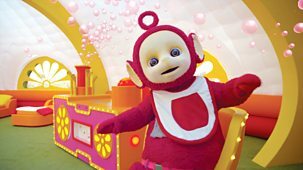 A cloud appears in Teletubbyland and it begins to rain. 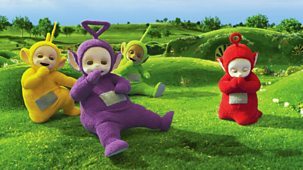 Tinky Winky, Dipsy, Laa-Laa and Po watch the flowers bloom. 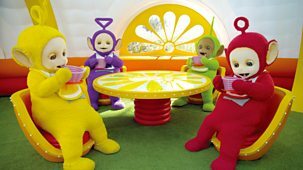 Another cloud appears and it rains pink tubby custard! 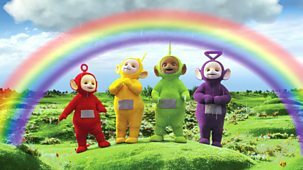 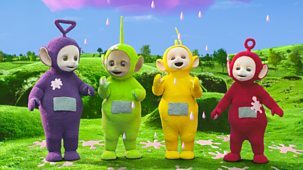 Tinky Winky, Dipsy, Laa-Laa and Po want to go outside, but it's raining. 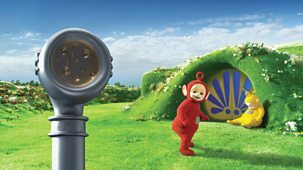 Some wellies and umbrellas magically appear and the Teletubbies go outside for splashy, rainy fun. 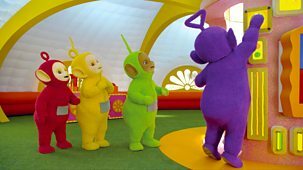 It's Teletubby Circus time! 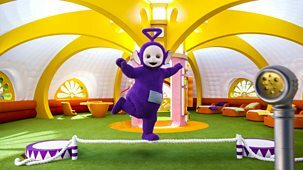 Tinky Winky balances on the tight rope, Dipsy juggles, Laa-Laa flies on the trapeze and Po is a funny clown. 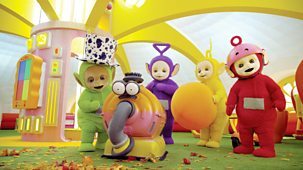 A musical staircase magically appears in Teletubbyland. 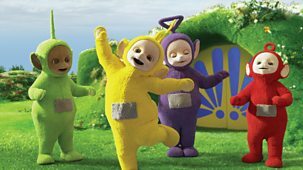 Tinky Winky, Dipsy, Laa-Laa and Po take turns making music as they go up and down the stairs.